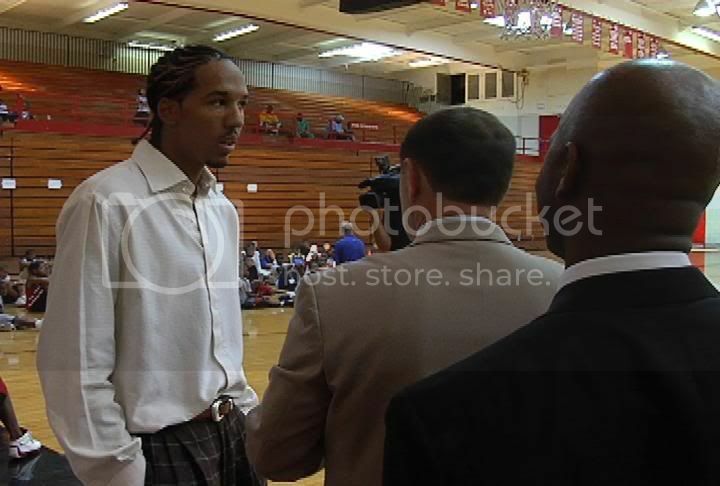 Los Angeles Clippers was lucky to snag Shaun Livingston out of Peoria Illinois, and now the community of Peoria is equally please to grab him back...even if only for a week! A private camp for the kids of Peoria is sponsored and hosted by Shaun Livingston every summer for either one or two weeks. This camp is apart of the events Shaun does with his name sake, the Shaun Livingston Foundation. About 150 Underprivileged kids attend this basketball camp week and all expenses come out of Shaun's personal pockets, so the cost to the children is absolutely FREE!!! Additionally, Shaun visited St. Jude's hospital and continued filming for his ESPN "Outside The Lines" recovery special documenting his progress and his personal road to recovery. While he is progressing a lot faster than professionals originally anticipated, "however long it takes, that's how long I'll take," said Shaun and we are with him all the way!! !